Welcome aboard The Clipper Group's home page. Last updated on November 14, 2017 New research was published 11/13/2017. 1 Forest Green Road - Rye, NH 03870 - U.S.A.
Go to Our Publications Page to see more than 860 reports published since January 1, 2000. Established in 1993 in Wellesley, Mass., and since 2010 in Rye, NH, we are technology acquisition consultants, strategic advisors, and Internet publishers on enterprise-class information technology and infrastructure. We specialize in large servers (including mainframes, Linux, UNIX, and Windows); enterprise storage solutions (including SAN, NAS, virtualization, tape, archiving, object management, software-defined storage management, and storage appliances); and enterprise software (applications, database management systems, and middleware), whether deployed in an enterprise or mid-sized data center or in the cloud. Investors and investment advisors receive our insight into the marketplace and products of selected high-tech companies. The Clipper Group's full-time consultants average more than 25 years of experience in solving business issues and technology problems for users and vendors of complex technology. Our capabilities are augmented by a team of staff consultants with significant experience across a broad spectrum of applications and environments. Note: We do not do Clipper programming and are not associated with the Clipper software product, which is owned by Computer Associates. The Clipper Group is always looking for talented, self-motivated enterprise systems and solutions analysts and consultants to join the team, either fulltime or parttime. We are an equal opportunity employer. Be aware that job postings for The Clipper Group on job search web sites, or referrals from them, are bogus. We do not have any such postings and have not authorized any entity to post such positions. Clearly identify yourself (name, address, phone number) in your email's body or your attachments will not be opened. No personal data is collected by The Clipper Group's web site. However, if you use the search capability, the search engine may do so. This is a safe site. All web pages and downloadable PDFs from this site are virus free. Copyright (c) 1997-2017 by The Clipper Group, Inc. 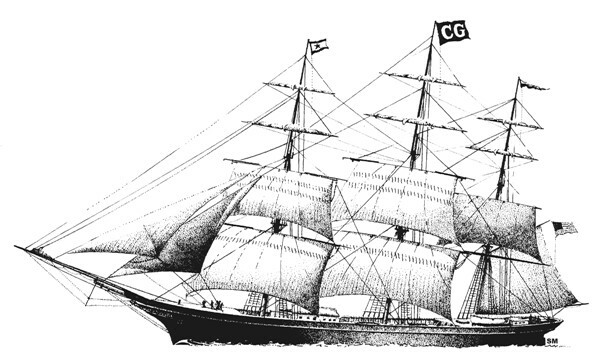 The clipper ship drawings, "Navigating Information Technology Horizons", and "teraproductivity" are service marks and "The Clipper Group Navigator", "The Clipper Group Explorer", "The Clipper Group Observer", "The Clipper Group Captain's Log", "The Clipper Group Voyager", "Clipper Notes", "The Clipper Group Calculator" and "clipper.com" are trademarks of The Clipper Group, Inc. All	rights reserved. No vendor, reseller, distributor, or other business engaged in the supply of information technology - including components, software, systems, solutions, or services, or investment, legal, accounting, market research or other provider of advisory, consulting or other services - may reference, quote, forward, link from another web site or email, or reproduce this web site, or any document contained herein, by any means for any purpose without licensing appropriate rights from the copyright owner, The Clipper Group, Inc. Please contact Mike Kahn for further information.